Having been in the education field for 11 years, Krissa has worked with students in pre-school through high school. Outside of the classroom, Krissa enjoys spending time with her daughter, Camaro drives, dirt-track racing, and spontaneous adventures with her little family of three. Public school teachers in West Virginia have had enough. All 55 counties across the state of West Virginia have chosen to go on strike – together – to bring awareness and change to teacher’s health insurance benefits and salary. “The strike has put 20,000 teachers and 13,000 school service employees on the picket lines,” according to CNN. Comparing this to the national average where teachers earn a median salary of $58,030. Teachers in West Virginia have not had a state-wide salary increase since 2014. 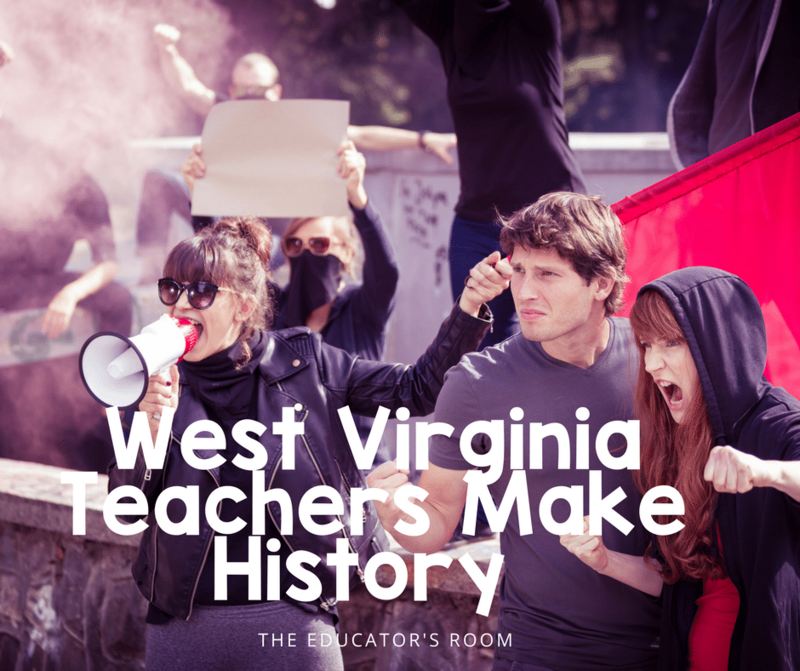 After failed attempts at negotiating improvements, the 55 counties in West Virginia decided to make history and strike as one body to force attention to the increasing decline in teacher’s working benefits. Earlier this week, the governor, Jim Justice, recommended a five percent pay increase for teachers, but it has yet to clear the Senate. Teachers say that is not enough to address the need. In addition, the offerings from Public Employees Insurance Agency (PEIA) are simply not enough. PEIA’s demands are too high, and a compromise needs to be made so that West Virginia teachers are not simply earning a salary to pay for health insurance benefits. Teachers remain on strike, “55 Strong,” taking shifts to inform others about working conditions, insurance needs, and stagnant salaries. Knowing how dedicated teachers are to their schools, teachers have also managed to make the news but in a way that highlights the struggles of their communities. There is a higher-than-average percentage of families living in poverty in West Virginia, and the teachers have not ignored the needs of these students. Teachers are working to ensure that their students’ most basic needs are met, despite not holding a formal class each day. Lynn also shared that the support they have received from locals, and the nation as a whole, has been astounding and reassuring. “Fifty-five Strong” teachers are expected to continue picketing and fighting for improved health care benefits and salary while West Virginia school are expected to be closed at least through March 2nd.